Auberge du Pommier hosts elevated corporate and social events, featuring world-class French cuisine, inspired service and elegant French décor. Constructed around the vestiges of two 1860’s wood cutters’ cottages and designed with classic French elements, Auberge du Pommier combines country charm with style and sophistication and serves as an inviting retreat from the city. 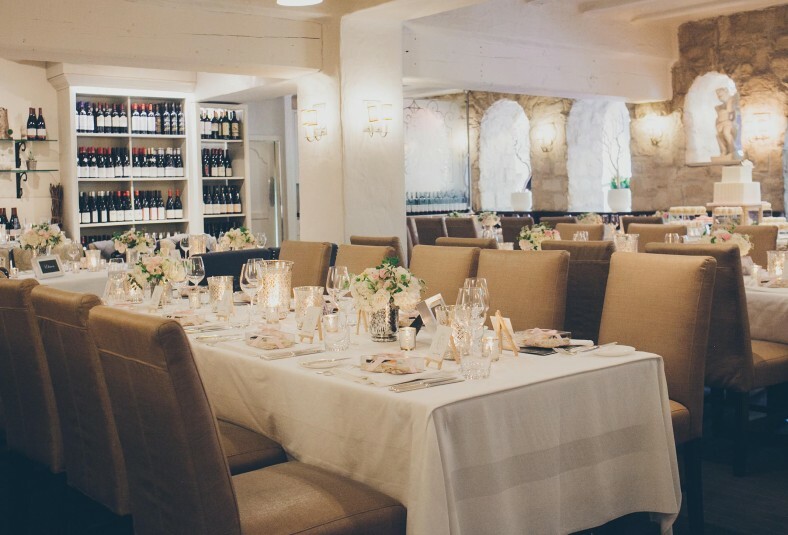 Auberge du Pommier offers two exclusive private dining rooms for corporate and social events. The restaurant is also available for full buy-outs Saturday lunch and Sunday lunch and dinner, accommodating up to 145 guests. In season, Auberge du Pommier offers a lush garden terrace for outdoor ceremonies and receptions, a sophisticated choice for weddings or special gatherings.